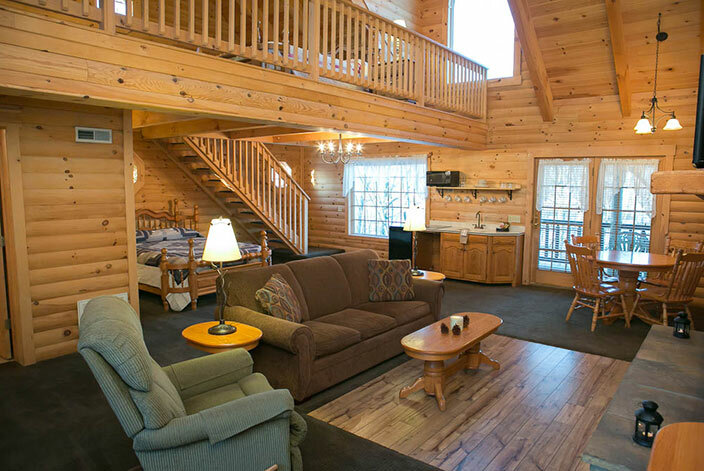 From a perched view overlooking a pond, the Owl’s perch is the perfect vantage point for a scenic, mostly wooded quiet stay providing exceptional Holmes County lodging. 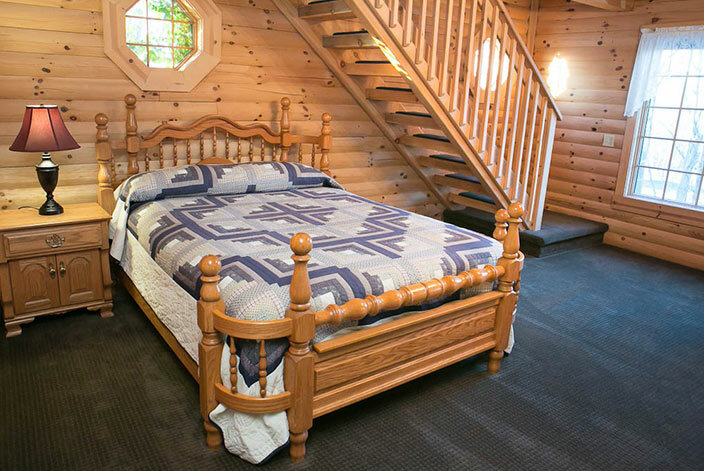 With over 1100 square feet, the Owls perch is a spacious log cabin unit located on a small side street within walking distance to Berlin’s downtown. 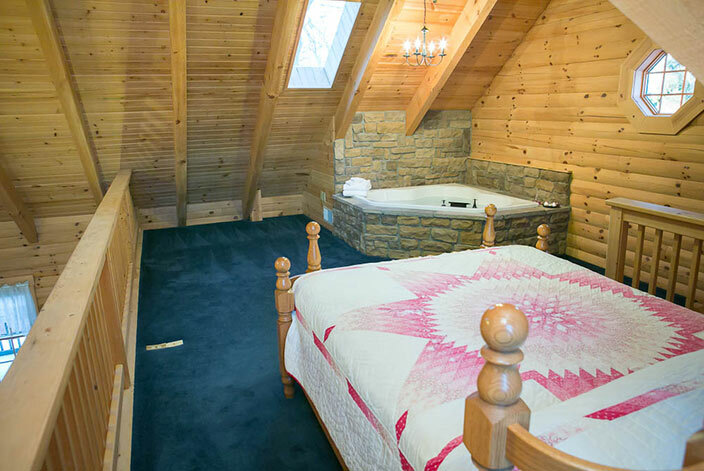 Offering luxury and log cabin comfort, the Owls perch features a two person stone jacuzzi, a full living room area with 25 foot vaulted ceilings, stone gas fireplace, kitchen and dining room table, one queen sized bed on the main floor, and one queen sized bed in loft. 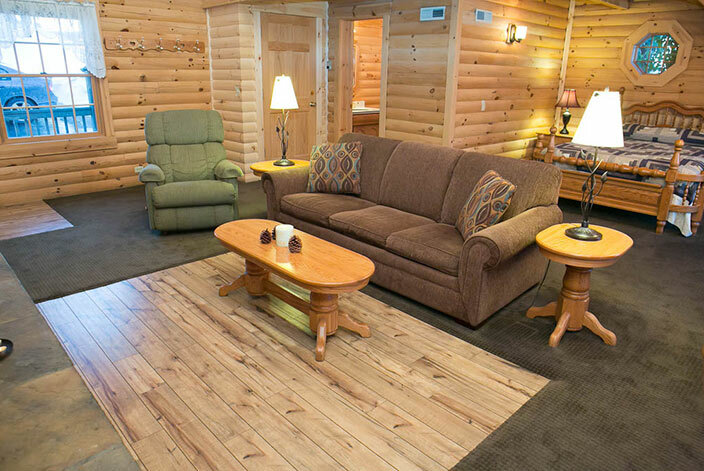 Offering free WIFI, cable TV with DVD player, AC/Heat and a covered front porch with rocking chairs. 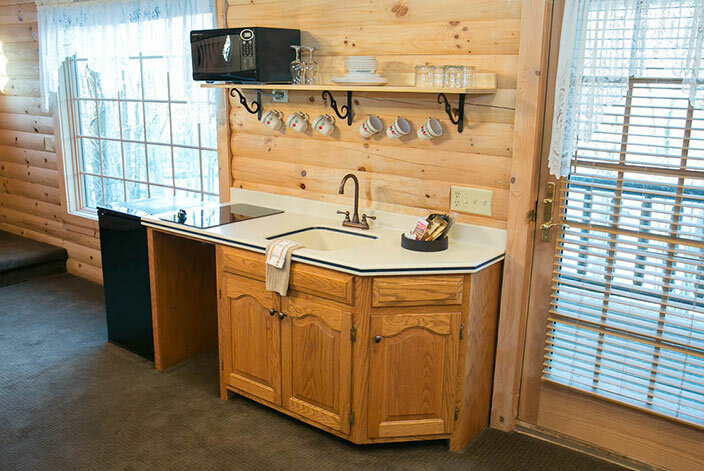 View our different Berlin, Ohio lodging options and plan your getaway to Amish Country. This room cannot accommodate children under 12. 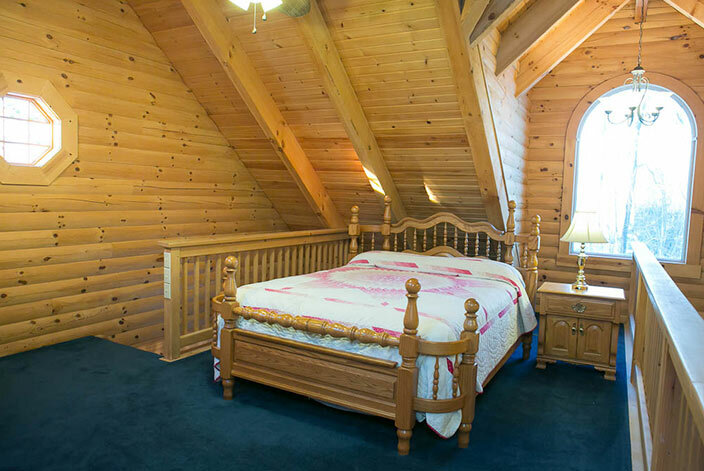 We stayed in the Owl's Perch and were pleasantly surprised at the entire place! 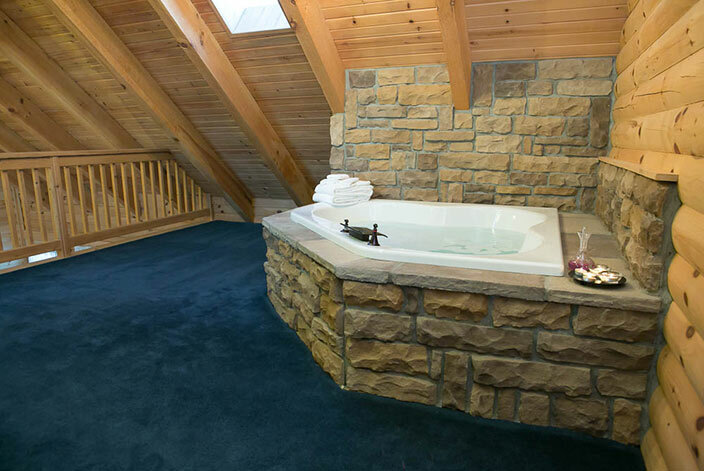 Very clean, nice Jacuzzi, relaxing balcony which we sat out at night and could hear the horse and buggy and bullfrogs. 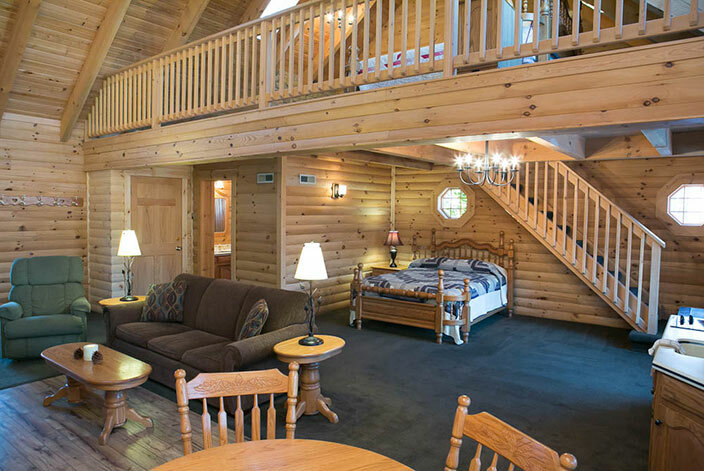 Our family has already highly recommended this place to several friends and family members.